Maureen Watson-Bolger joined McAlvey Merchant & Associates in 2013 bringing with her ten years of public sector and legislative experience. Prior to joining the firm, Maureen worked in both chambers of the Michigan Legislature. 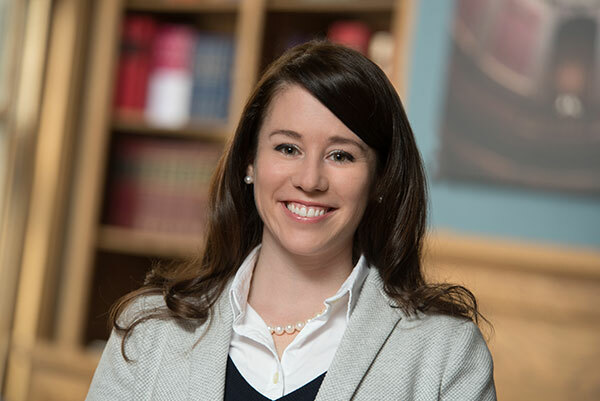 She developed an expertise in developing legislative solutions for diverse policy and appropriations problems through some of Michigan’s most challenging budget cycles and contentious legislative sessions. Working with five different speakers and legislative leadership teams, she was the Director of Policy and Appropriations for the House Democratic Caucus when she transitioned to the private sector. Over the years, she advised a variety of appropriations and policy committees including: agriculture, natural resources, commerce, new economy, capital outlay, general government and appropriations. She has also worked in the Michigan State Senate, at Wayne State University’s Center of Urban Studies, and won the prestigious Upson Miller Fellowship with the Citizen’s Research Council. Maureen holds a Bachelor of Science from Central Michigan University and a Master of Public Administration from Wayne State University. She lives in Dewitt with her husband and two stepdaughters and enjoys being active in the community through the TS Alliance of Michigan and the Junior League of Lansing.